This one is the latest for Stephen Volk’s Whitstable, courtesy of The Zone – thanks to Tom Johnstone for the write-up! You’ll find it right here. PLEASE NOTE: there are now just THREE copies of the limited signed and numbered hardback left – those wanting a copy should get to the Spectral Shop NOW to secure their copy before they all go. The book will NOT be reprinted in this format again! “OK, number 7 in the Spectral Press chapbook series. Mike returns to the town he grew up in through the 70’s and 80’s, hoping to lay some personal ghosts to rest, and finally say goodbye to his childhood friend Geoff. It’s a well written story, with some nice touches and clear descriptions and dialogue. The structure is essentially the tale from the past, bookended with passages form the present. Whilst it’s pretty clear what is probably going to happen, more so towards the end, and thus slightly robs the story of some of the surprise, the telling is fine. There are also a few nice creepy moments in the finale, that really get the hairs standing up. There was something I just didn’t engage with in the story and it took me two reads to figure it out. It doesn’t feel long enough. This is an entirely personal thing for me, because I love the sense of nostalgia this sort of story can conjure, especially when it’s well done and I felt this was where the story most came alive.It just should have been more. For me, it needed more immersion in the past, in order to resonate more with the present. But that’s my perception, not a failing of the writing. “And on to Spectral chapbook number 8. Two lonely youngsters, who have become drawn to each other through their similar natures, spend their time exploring the woods around their village. They come upon a barrow (old burial mound) and what happens there sets in chain events that will affect them forever. Great atmospheric story. It’s extremely well written and the narrative flowed very well. Tallerman has the enviable ability to draw a full canvas from only a few words, to create powerful images with minimal description. I found the setting very evocative and there was something ancient and timeless about it (not just because of the subject). There’s a strong sense of foreboding throughout, a feeling of sad and tragic inevitability. although it’s not really about scares as such, there is room for a couple of nice little creepy moments, such as when the kids are crawling into the entrance to the barrow, at night, in near dark… However, it’s all about the overall atmosphere, which is maintained throughout the tale. “Number 9 in the Spectral chapbook series (yay, I’m now up to date! :-D). Ray’s mother has passed away and it’s his ‘happy’ task to clean up her home to sell on. However, while he’s staying there, odd sounds and strange visions assault him…the ominous ‘creaking’ sound. OK, I may be picking this up wrong, but I found this to be quite an amusing tale, despite the dark undertones that pop up as it progresses. 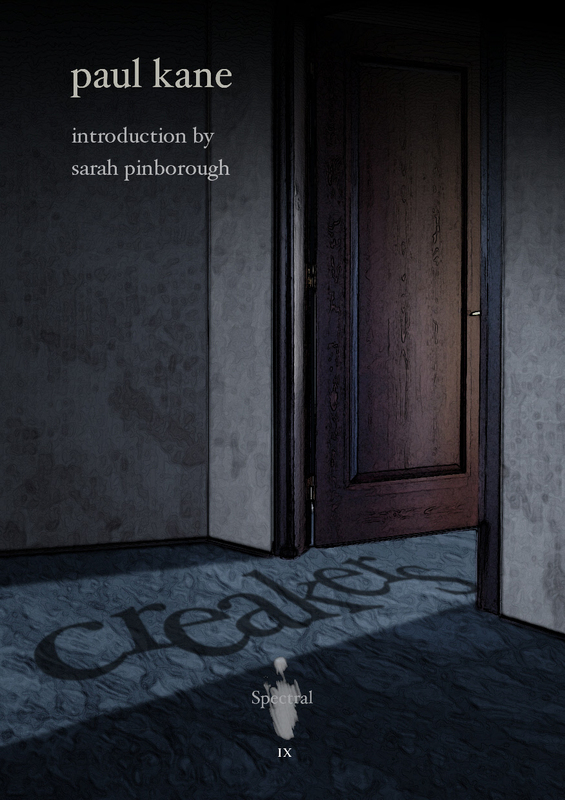 When the first round of ‘creaks’ start to sound, I was chuckling away to myself and the prose was light and amusing. Or so it seemed to me. Maybe I was picking it up wrong. I hope not. Of course, this light tone doesn’t last and soon there are hints of darker goings on.I found the story moved easily between these different tones and in fact, the lighter moments helped to define more clearly the darker turns. I really hope this was deliberate.There’s some very solid writing on display here and each reveal is handled deftly and with subtle ease. Many thanks to Paul for taking the time to write these! There are certain things that are guaranteed to bring big smiles to us here at Spectral Towers and we feature two such events here today. 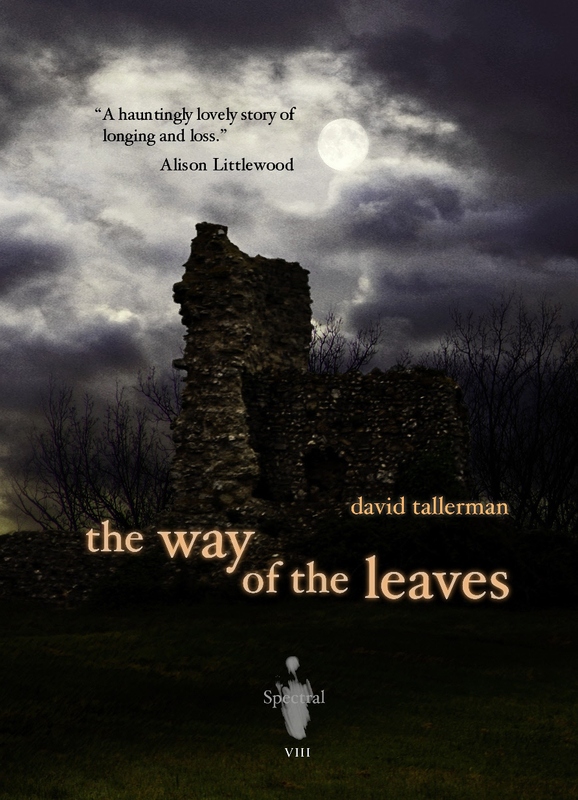 First up is a great review of David Tallerman’s The Way of the Leaves, which has appeared at the Wag the Fox review blog, written by the host himself, Gef Fox. You can read the review here. Secondly, This is Horror magazine hold the This Is Horror Awards every year and, in the 2012 edition, we are proud to announce that Mark West’s What Gets Left Behind was runner-up in the Short Fiction category – sitting nicely behind Stephen King and Joe Hill’s In the Tall Grass. Nice one! Congratulations to Mark on such a great achievement! Don’t forget to put in your pre-order for Stephen Volk’s Whitstable novella (featuring an Afterword by renowned British novelist and short story writer Mark Morris) – see previous blog entry of details of the book and a rather special offer of the novella combined with a 2CD set of Peter Cushing reading his Hammer Years memoirs. Also, you can also now purchase slipcases to keep your chapbooks all nice and pristine, as well as buy subscriptions to the books, so why not do so today! First up is a review of The 13 Ghosts of Christmas from reader Ross Warren over at Goodreads, which you can read by clicking on the link. Paul Brazill, also at Goodreads, gives us his assessment of Mark West’s chapbook story, What Gets Left Behind – you can read that one here. And finally, Matthew Fryer of Welcome to the Hellforge has made John Llewellyn Probert’s The Nine Deaths of Dr. Valentine one of his favourite novels/novellas of 2012 – you can read what he thought of it here. Additionally, Jim McLeod of the Ginger Nuts of Horror blog announced his Horror Discovery of the Year, and it is no less a writer than Dr. Valentine himself, John Llewellyn Probert – read his blog entry here. Jim also cites The Nine Deaths of Dr. Valentine as his favourite novella of the year. So there you have it – a really great start to the New Year. But it doesn’t stop there – more reviews soon, so onward and upwards! The rest of the review can be read here. Last Friday we revealed the cover (by stellar artist Ben Baldwin – above) to the forthcoming Spectral Visions novella from Stephen Volk (Ghostwatch, Afterlife), Whitstable. Although the book won’t be published until next May, in time to celebrate the centenary of the birth of the English actor and wonderful human being Peter Cushing, it has already generated quite a lot of interest and reservations are already being made. To make what promises to be a great book even better, Spectral has arranged a superb deal with Cosmic Hobo Productions: for a special price, not only will you get the limited signed and numbered hardback edition of the book, but you’ll also get a 2 x CD audiobook of Peter Cushing reading his memoirs of the Hammer years, Past Forgetting. You can reserve your copies of both book and CDs by contacting us on spectralpress[AT]gmail[DOT]com. This is sure to be a popular book, so get those reservations in today! You might also like to know that Stephen will be appearing with revered genre writer Ramsey Campbell at the Newcastle Winter Book Festival on Saturday November 24th 2012 at 6:45pm at the Literary & Philosophical Society, 23 Westgate Road, Newcastle upon Tyne NE1 1SE. 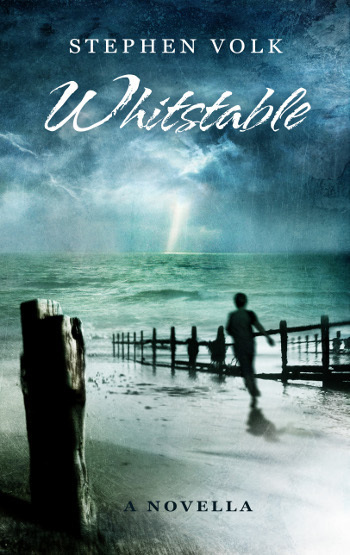 He will be previewing Whitstable at the event, details of which can be obtained here. Finally, to wrap things up, we are proud to announce that the thirteenth story in the first Spectral Ghost Story Annual (The Thirteen Ghosts of Christmas) will be John Forth’s The Green Clearing. John joins the host of other fine writers (details here) whose stories have made it into what we here at Spectral Towers hope will become an annual tradition looked forward to by all lovers of spooky tales! Congratulations John! First review is a great write-up from Gef Fox of the Wag the Fox review blog, which you can read here. Then we have a review from She Never Slept, written by Marc Nocerino, accessible by clicking here (you’ll need to scroll down a bit for the review proper) – thanks to Marc for this. Moving on, Anthony Watson, a subscriber to the chapbooks, was kind enough to review Mark’s story on his Dark Musings blog – just go here for the lowdown. Finally, writer Colin F. Barnes sets his thoughts down on the chapbook in his blog-post ‘A Fulltime Writer’s Diary – Week 1’ – once again, you will need to scroll down the page to find the review towards the end of the entry. The blog-post can be found here. Anyway, there will be more reviews soon, as well as some more exciting announcements about some of the books we have lined up for you over the next year or two – we can honestly say that we have some fantastic authors onboard for years three and four of Spectral, so watch this space! 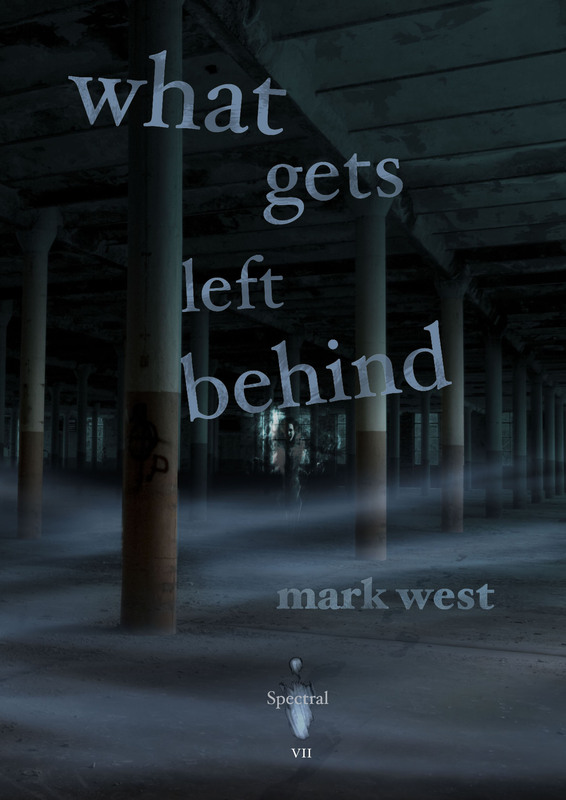 Just a quick slice of blogging this morning (as we have a lot to catch up with here at Spectral Towers) in the form of a notification of the latest review of Mark West’s chapbook, What Gets Left Behind. This one has very kindly been written and uploaded by Pablocheesecake to his The Eloquent Page book review blog, and you can read what he had to say here. More reviews soon, we promise! It’s the day after returning from this year’s FantasyCon shindig, where a great time was had by all (we will be reporting on it tomorrow on these very pages), but in the meantime we have three new reviews to tell you about. First are two write-ups on the latest chapbook, What Gets Left Behind by Mark West, from British Fantasy Award-winner Angela Slatter (posted to her blog) and James Everington (posted on GoodReads) respectively. You can find Angela’s review here and James’ here. 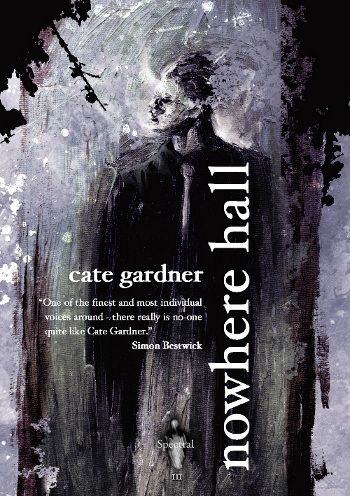 The third review is from Angela Slatter again, but this time concerning Cate Gardner’s Nowhere Hall – you can read the review here. Apologies for the shortness of today’s blog, still feeling shattered, but there will be more reviews soon, plus a rundown of Spectral’s FantasyCon weekend tomorrow! As this will be the last post before the Spectral clan (all two of us) head off for the annual shindig that is FantasyCon, we shall leave you all on a high: the latest review of Mark West’s What Gets Left Behind, Volume VII in the acclaimed Spectral Press chapbook series. This one’s by horror writer Adam Millard and has been posted to This Is Horror Magazine’s horror media website. To read the review, please click here. Anyway, FantasyCon promises to be a wonderful event this year – for our part, we are launching a book (The Nine Deaths of Dr. Valentine), hosting a reading (with John Llewellyn Probert and Stephen Volk) and moderating a panel (‘Marketing for Newcomers’). Plus, of course, King Death by Paul Finch is up for a British Fantasy Award in the Short Fiction category, and Spectral itself has been nominated for the PS Publishing Independent Press Award. If any of you are going, then please don’t hesitate to make yourself known! More reviews and news soon!